These are ideal food items for carnivorous fish: they retain all their nutritional value and move around to attract the fish. They are a problem to keep as they only last a few days, but they can be frozen. These were once very popular - so many aquarists have started with them! Nowadays they are out of fashion; in fact they are not the ideal food for fish and it is best not to use them. More complete and suitable products, particularly those in the form of flakes, are now available, even for goldfish. 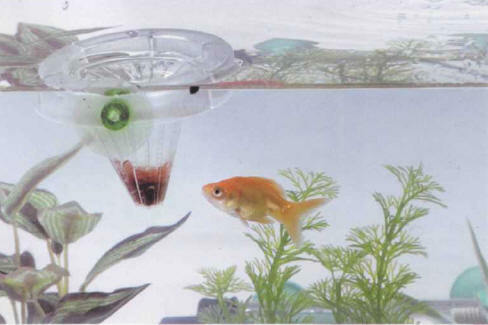 The artificial food on the market these days is very effective for aquarium fish. To diversify and balance their requirements, they can also be served some of the small, live prey that are commercially available - an important supply of vitamins and mineral salts - or fresh food or homemade mixtures. This mollusk, prized by humans, is equally appreciated by fish, especially those marine species that refuse artificial food. Widely available, inexpensive, easy to freeze, mussels are a top-class dish: they are rich in proteins and carbohydrates, with few lipids. Furthermore, they contain many minerals (such as calcium, phosphorus, magnesium, iron) and even vitamin C, which plays an important role in the fight against disease. Mussels must be well cooked before using and their shells and connective filaments removed. Cut them into pieces before distributing or freezing them. An aquarist can easily make his or her own fish food - the possibilities are enormous. The following recipe is just one of many. Cooked mussels, frozen or otherwise, provide both practical and nourishing fare. Take some cooked white meat (chicken, turkey, ham) and some seafood (mussels, cockles), also cooked, and mince them with a little water to make a homogenous paste. A vitamin supplement, available from aquarium stores, can be added during this process. This mixture can then be mixed with gelatin (from a sachet of powder, for example) so that the paste does not break up in the water, as this may become a source of pollution. One portion can be distributed immediately, while the rest can easily be frozen in ice trays. The models designed for small ice cubes are particularly recommended for making a large number of small portions. Once frozen, they can be slipped out of the ice trays and bagged up in freezer bags for use as required. In fact, these are not worms but the aquatic larvae of various species of nonbiting mosquitoes. They are also commonly used as bait in fishing. Although it is sometimes thought that they live in mud, they are actually found in the water of areas that are well endowed with organic matter. It is useless trying to collect them yourself, but they are sold in the aquarium trade. They keep for a few days in the refrigerator, wrapped in moist newspaper. They are a good source of nutrition, as they are rich in protein. Rich in proteins, bloodworms are a prey much appreciated by carnivorous fish. These are worms that are gathered from the mud in environments rich in organic matter. Some people think that they represent a risk when they are introduced into an aquarium, as they may carry undesirable bacteria. This risk is very slight, however, and there have been no reports of any serious incidents. The specimens which are commercially available can be kept for a few days in the refrigerator, in domestic water, but it is essential that this water is changed every day. Tubifex in a natural setting. 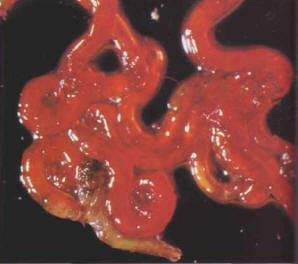 Tubifex worms can be distributed to fish by means of a special accessory. Flowing and welloxygenated fresh water are home to small river shrimps of up 2 cm that swim along the banks. 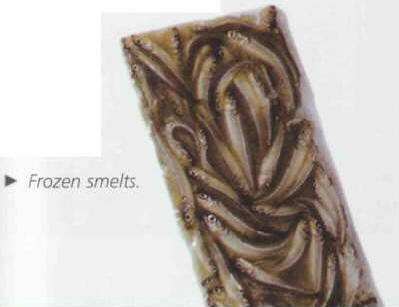 These are rarely sold live, but they can be found in a freeze-dried form. You will find that your fish will definitely enjoy them. 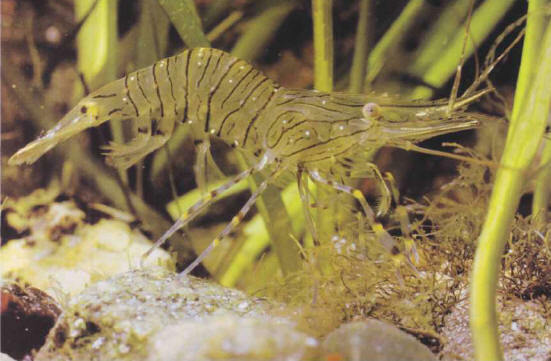 The small marine shrimps found on some coasts are also highly prized, especially by marine fish. These are often sold in fishing stores along the coast. If you are lucky enough to live in such an area, you can also collect them yourself and keep them in an well oxygenated seawater aquarium. Both types of shrimps can be frozen after being cooked and rinsed under the faucet, or they can also be ground and turned into a homemade dish. Coastal shrimps, live or cooked, are recommended fare for big fish. 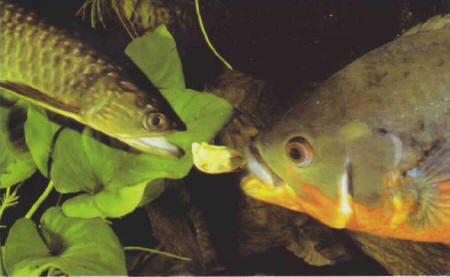 Either fry or small fish can be used to feed marine fish doubtful about artificial food, or large freshwater fish. With this in mind, some aquarists breed prolific species that reproduce easily (Poeciliids, for example). Keeping and breeding worms or insect larvae is also possible, though it sometimes proves time-consuming. The range of live prey listed above is adequate for the needs of your fish. 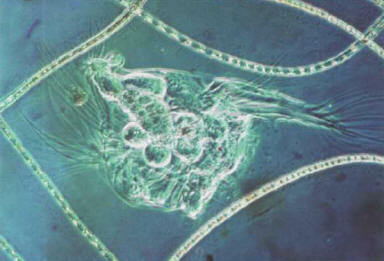 Freshwater or marine plankton contain a host of organisms barely visible to the naked eye (0.1-1 cm) but valuable for feeding fish, especially the fry. Collecting them in a natural setting is tiresome, and involves a risk of introducing potential microscopic hosts into the aquarium and spreading disease. Some planktonic food is available on the market in frozen form. This is the "magic" food that every aquarist should breed. This primitive crustacean grows to 1 cm when adult and is called Artemia salina. They live in the heavily saline waters of salt marshes, feeding on the micro-algae that they gather with their filtering legs. Their characteristic most relevant to the aquarist is that their eggs can be stored dry, with their development interrupted, for use later on. 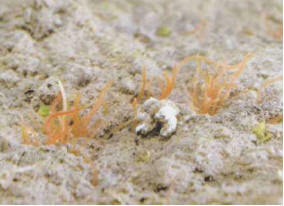 Once the eggs are returned to salty water, they hatch rapidly and produce a larva called a nauplius, which measures only 0.3 mm and is particularly suitable for feeding to fry. Some clubs breed rotifers, vital food for the fry of marine fish, especially clownfish. Feeding brine shrimps to fish is easy, even for an amateur (see box). They are still too big for the fry of some fish, however, especially marine species. 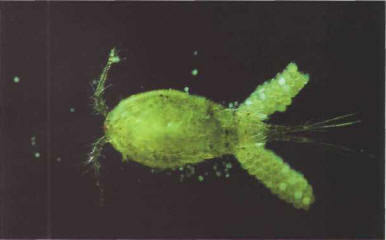 In such cases, it is possible to use rotifers, animals halfway between worms and crustaceans, which have a crustacean-like shell and never grow to more than 0.2 mm. These are more complicated to breed than brine shrimps, as they must be fed planktonic micro-algae which also need to be cultivated. 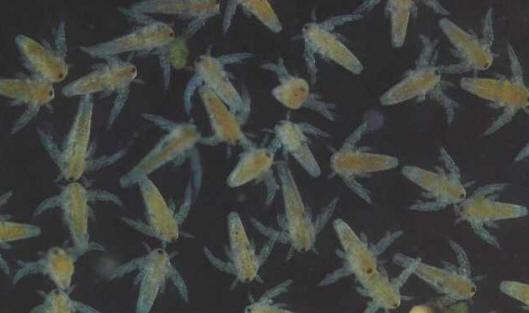 It is therefore best to obtain them from a laboratory specializing in oceanography or marine biology, and to get advice on the essential steps required to look after them for a few days - the time within which the fry for which they are intended will be big enough and sufficiently developed to move on to a diet of brine shrimp nauplii. Copepods, among the constituents of natural marine plankton, form the basis of the diet of certain fish. АПУЛЕЙ (Apuleius) (ок 125 - ок . 180 н. э. ), древнеримский писатель. Авантюрно-аллегорический роман "Метаморфозы в XI книгах" ("Золотой осел"), проникнутый эротическими мотивами, элементами бытовой сатиры и религиозной мистики. "Апология" - речь в собственную защиту против обвинения в магии.